The past year has been a particularly troubling and trying time for SWAT Kats fans. After constant silence out of Tremblay Studios regarding the status of the SWAT Kats Revolution project, piecemeal throwaways from the original show, and the frustration of a lack of movement after 3 years from the Kickstarter's conclusion in August of 2015, the faithful stand battered, beaten, and to my irritation, split between those who would like to see some accountability and those pie-in-the-sky dreamers who would prefer to wait another few years before finally accepting the conclusions that others have already made. Some months ago, on the eve of the 25th anniversary of the show, I did a long and detailed post regarding both the history of Kickstarter, one of its most massive failed projects, and how the trends present in that debacle were becoming mirror repeats within SK Revolution's own Kickstarter. In the interest of getting things moving, I proposed solutions for the Tremblays to pursue in order to continue to generate interest and social media buzz, which is as we all know, the lifeblood of any project such as the one they were attempting. I worried aloud that the Tremblays were squandering an opportunity, or worse, taking us for a ride, and then challenged them to "Prove. Me. Wrong." Now at the end of November, it is clear from the cone of silence erected over the Revolution Project, and the dismal efforts and energy put forward by them and their team at the conclusion of the "Official 25th Anniversary" (3 months after the real thing) event that my challenge, and theoretical deadline, has passed with a resounding thud, blank stares, and boilerplate denial/refusals. The post made by MoDaD was, for him, very blunt, to the point, and seething with the anger he felt on their failures. And given that MoDaD prefers to be the middle-of-the-road-everybody-is-my-friend sort of person, that is about as strong and damning as it comes. In the wake of MoDaD's announcement of the cancelled event and the "We can't talk about that" boilerplate answer to a list of very well thought out and phrased questions regarding the progress of SK Revolution, I was stunned to see that the fans of this show began arguing with one another, as opposed to putting their fury in the right place and aiming it at the right direction, which is Tremblays Studios and their self-erected firewall of noninformation. I had thought you all better than this, because you are falling victim to one of the classic military tactics; Divide and Conquer. Some in the fandom believe that we just 'need to be patient', and see how things develop. Perhaps in one more year, or two, there will be news. Others have put forward the notion that the people most offended and vocal about this silence might be individuals who didn't contribute anything to the Kickstarter 3 years ago; A bit of flawed logic that Kooshmeister quickly, and aptly, shut down. And most frustrating to my eyes, is this sudden idea that the people who are upset and want some more transparency and accountability on the part of the Tremblays as regards this project are somehow "Less Loyal" supporters of the SWAT Kats. That somehow, by getting angry and demanding that the fans and the Kickstarter backers get more news than a half-hearted "We're still trying", these more vocal members of the fandom are weakening or threatening the project from succeeding entirely, or 'damaging the fandom'. I couldn't help but be reminded of certain bullies and malcontents I knew in my youth who claimed to have a toy that they'd bring to class for recess, but kept providing one excuse after another as to why they kept forgetting it, and then when they pressed on the issue, suddenly declared it lost/my mother took it/broken by my brother/etc. They were never going to deliver on that promise, and derived some sick joy from first constantly denying it, and then taking it away when they were forced to show their hand. A bit of faith and open-mindedness is all well and good. But if they haven't delivered on a contract in 3 years, they aren't going to manage it with another two. Not without a bit of nudging. And let's not forget that; They CHOSE to use Kickstarter as a means of generating funds and public awareness/social media attention. That was their choice, and when they elected to use that mechanism, they became bound by the terms of a contract. And contracts have consequences when they are defaulted on. Kickstarter, for all its potential and success stories, also carries with it a significant amount of risk and baggage. There are as many accounts of Kickstarters which got enough money to 'launch' and then failed for one reason or another in the production, usually due to Kickstarter campaign organizers failing to take into account hidden costs, production setup, distribution requirements, and other matters. Sometimes, a subpar product is released (See: Mighty No.9), while other times, backers are suddenly informed a year or two after a delayed silence that the project is being cancelled. This is where the trouble begins. In the 3 years since the end of the Kickstarter and the sealing of that Contract between Tremblay Studios and their crowd-funders, none of those goals have been met with any reasonable amount of satisfaction. It could be argued in a court of law that the Tremblays are in violation of their Kickstarter contract, and liable for a refund of the backer's crowdfunding money. This is not a theoretical what-if, mind you: This has happened before. After a story in 2012 by National Public Radio, Kickstarter themselves even moved to address concerns of accountability, saying flat-out that "We crafted these terms to create a legal requirement for creators to follow through on their projects, and to give backers a recourse if they don't." They went on to add that such a legal recourse was not to be pursued lightly and only in a time of gross default, but it is clear that even 6 years ago, the Kickstarter company/website was well aware that this was an ongoing problem. And Kickstarter is right: While the demand of a full and complete refund is within the legal rights of the backers in the event of a default on the part of a Creator's gross negligence and mishandling, it is the nuclear option, a measure of last resort. Like all of you (Yes, all, not most, because I believe this fandom is too small to survive divided), I am angry, but not yet ready to hit that big red button just yet. But, I am not about to just laze about and let the Tremblays run roughshod over our hopes and dreams with stock non-denial denials. Through time, attrition, and forceful consolidation, Megakat City has become the sole voice of the SWAT Kats fandom to the world at large. And in that role, it has a greater responsibility to do more than just suffer as the Tremblay's mouthpiece and cheerleader. SWAT Kats, as a show and a phenomenon, has demonstrably grown and evolved beyond those two French-Canadian brothers' original visions: For example, Feral is not the power-hungry despot that they originally made him out to be, and Viper's character also received significant changes from his original incarnation. The series grew and evolved because of the efforts of the other writers and artists attached to that show. In the 20 years since its conclusion, we have carried that burden of keeping it alive. Thus, if we want to keep it alive, then the responsibility lies with us, and with Megakat City, to hold the Tremblays accountable. So what can we do to hold their feet to the fire and enforce that accountability? Having taken some time to consider this question, here are my proposals. 1: Remind Them that they are Bound by their Kickstarter Contract- Clearly, the polite route which MoDaD and the Megakat City staff have been pursuing in regards to the Revolution project so far has been a non-starter for getting the Tremblays to crack open the vault and deliver on their promises. This does NOT mean we get out a lawyer and send them some variant on a "Get your life together" writ or memorandum; it means that we as fans, and as backers, send them messages and E-Mails and even do Youtube videos on how frustrated we are with the situation. MoDaD has already posted the means of communicating with them directly through their own website and through Kickstarter, and I urge you all to pursue those avenues. Silence isn't working. Noise, and the squeaky wheel, just might. 2: A Trailer Long Overdue- One of the major sticking points in my post some few months prior was that the Tremblays, in contravention of rational thinking and process, did not immediately set to work scripting out the 2 minute teaser trailer which became promised and adherent to the project the moment the funding passed $100,000 and hit their first stretch goal. I pointed out that doing so would generate immediate, rapid, POSITIVE public interest in the project, and help them get whatever interested parties they were in negotiations with to fish or cut bait. This still applies. AkaneKitty, a longtime resident of the SK Fandom, has done some research on what it costs to put together an animated teaser trailer like this, and her lowball cost on it was $40,000 (Though this may be slightly outdated, it's the start of a ballpark figure). Given that the Kickstarter's total funding was in excess of $140,000 (Less after taxes and Kickstarter's own cut for processing), it begs the question where that money has gone, and what it has been spent on. I carry a fear hidden deep in the recesses of my mind that they spent the money on something else, in violation of the Terms of Agreement, and are merely stringing us along with denials until we lose interest so they don't have to confess that the project is dead and the money was mishandled or outright embezzled. I hope that I am wrong, but I've gotten in the habit of forming worst-case scenarios so that I'm never surprised by them. This led me to accurately predict the circumstances behind the divorce of one of my College friends, which stunned him when I guessed it before he could tell it to me. To wit, since we were contractually promised a 2 minute teaser trailer, it is in the Tremblay's best interests, both for legal reasons as well as to generate some much-needed positive social media presence, to get to work and put this out as quickly as possible. 3: Anything They Won't Say, We Won't Say Better- The Tremblay's standard response for over a year and a half now has been "We are in talks..." and "We can't talk about it..." or some myriad variation thereof. This continued stonewalling and cone of silence from them to the fans and their backers has been the main source of concern, and rightly, the instigating factor for a great deal of the cynicism and frustration on the part of our more vocal fans. And yet, in spite of this continued behavior on the part of Tremblay Studios and their employees, WE, that is to say, the FANDOM, continue to reward their bad practices with positive reinforcement and attention. As Megakat City is the De Facto fandom voice and representative online and in the real world, I propose that we meet their silence...With our silence. Until such a time as they deign to fulfill on their Kickstarter campaign promises and let us in on the mechanisms of the new show, we should not reward them with continued attention and gratification. We. Have Given. Enough. For 20 years we have given, of our time, our energy, our dedication, our interests. It is time for them to give something back. 4: This Message Will Self-Destruct... Never underestimate the effectiveness of an Ultimatum. I do not feel that the Tremblays deserve another 2 years of our patience and good graces, in the face of what they have given us (More appropriately, NOT given us). However, I do not feel that demanding something by December 31st would be productive either. So, my proposal is this: We send them a message, telling them that unless they make good on SOME of their Kickstarter goals by June 1st of 2019, that Megakat City, as the voice and representative of the SWAT Kats fandom and online community, will take steps with Kickstarter through their Terms of Service to push for a full refund of the backer's money after that day. If they are unable or unwilling to deliver something MEANINGFUL about the new project in 6 months, after 3 YEARS of our patience and goodwill, then they are either unable to, or unwilling to. The SK Fandom sits in a state of flux right now, stuck in that painful quantum state of "Revolution Is/Isn't Happening." We have endured this state of existence for long enough, and the time has come for the issue to be forced. The worst case scenario is that SWAT Kats Revolution doesn't happen. Fine. We survived 20 years with the truth that the show and the characters in it only got 2 seasons and less than 26 episodes, and we can continue to survive that. We'll keep on writing stories, drawing artwork, thinking up what-ifs, re imaginings and everything else that a fandom does. The show is larger than two Canadian brothers, and we have made it larger and kept it alive beyond what the original writers and storyboarders and artists ever envisioned when production was cancelled in 1995. If this fandom has only one voice that the Tremblays will listen to, then it is time for that voice to speak for all the fans and backers. It is time for our concerns to be heard and acknowledged. Last edited by MoDaD on Thu Nov 29, 2018 7:07 pm, edited 1 time in total. EricoBard wrote: The post made by MoDaD was, for him, very blunt, to the point, and seething with the anger he felt on their failures. And given that MoDaD prefers to be the middle-of-the-road-everybody-is-my-friend sort of person, that is about as strong and damning as it comes. We’ll also be taking that opportunity to talk about a lot of the questions fans have been asking or wanted to know for a while. We'll be sharing a few details about the challenges we’ve encountered and how we’re planning to overcome them. We will also be sharing some of the pre production items we’ve been using for our presentations to potential partners as part of this interview. All of this will be on-camera so you all will get a chance to see. A secondary reason was to provide a public answer to many private inquiries revolving around variants of "why didn't you ask [insert topic here]?" But, as I've mentioned elsewhere, if people feel upset, they have a right to be. Those who are upset have the right to be, same as those who aren’t. If you feel compelled to do so, write to the Tremblays themselves in a polite and professional manner, either through their site or in comments at the Kickstarter as MoDaD has already suggested. MegakatCity.com itself isn’t going to demand anything of the Tremblay Bros., nor is it going to cease in activity. People can use the forum to communicate their frustrations, and to coordinate any kind of nonviolent and non-rulebreaking activity they want. Just remember to be respectful to your fellow fans. I think the main problem is: we KNEW almost from the moment they decided to pursuit a new SWAT Kats series that they ARE pursuiting a new SWAT Kats series. I'm not that well versed in the making of cartoon series, but I assume usually they only announce a cartoon to the public AFTER it has already been picked up by a studio and contracts have been made. Like Christian said, it took them like half a decade to sell the series originally back in the day as well, and that's usually how it goes. Compared to that, nothing is out of the ordinary this time either, except for the fact we knew right from the start they are doing this. At worst, it was bungled. Currently I disagree that the Tremblays deliberately duped us. I know I said elsewhere I wasn't going to continue discussing this, but this grabbed my attention, so I had to comment. I'm inclined to think the Tremblays just got in over their heads and bit off more than they could chew, as opposed to going into this with any intent at deception. It's probably important to point out that had this been a deliberate attempt at fraud then it would've been unlikely for donors to receive their respective pledge awards (to my knowledge everyone received theirs). Also, while the Tremblays have had long periods of quietness on the Kickstarter landing page (the longest being a period over one year in the 2017 to 2018 range), they were communicative with the fandom through other means in their participation with video projects and loaning original show materials during that time. ...but to provide added context that perhaps demonstrates that had this been a deliberate fraudulent act that they would not be participating in any of the various events/activities that have taken place since after the Kickstarter fundraising period ended in late 2015. After the events of the 2015 Kickstarter fundraiser and your appearance at Anime Matsuri in Feb. 2016, did Warner Bros. threaten Tremblay Bros. Studios with a Cease & Desist Order, and/or actively sue Tremblay Bros. Studios for damages over merchandise rights violations? If so, was a settlement reached? Sorry for the sidetrack. I just remembered that while typing this. My own opinion is that I agree with Kooshmeister regarding the Tremblay Bros. intent (though I'd probably replace the term "bungled" with "unsuccessful"), but I can understand why Erico and others would have a contrary opinion. If it's looked at objectively, it's not an unfair opinion to have - one that's amplified by the withholding of information. Anyway, intent aside, it's also fair to point out that the current end result is still the same, i.e. No Trailer. Where did that theory come from? I thought Christian claimed at Anime Matsuri that while Warner Bros. owns the 2 produced seasons of SWAT Kats - The Radical Squadron, the Tremblays own the right to create anything new within the franchise (if that's even possible legally, I have no clue how that actually works).So apparently that might not be the case? OR was the problem that the Tremblays were selling stuff like the Main model sheet, the Art book and Animation cell drawings that were from the original show? Because yeah, I can see Warner Bros. seeing that as "Well, technically we own those as well". 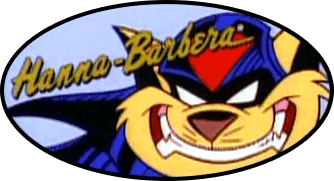 All this confusion over who has the rights to what is why I wish the Tremblays had retained ownership of SWAT Kats, just as Eastman and Laird did with Ninja Turtles. I've been out-of-the-loop (understatement of the decade...). Any particular information on what problems they've had/having? Friend on Discord said Netflix is "desperate" for animated series, but I'm going to ask him for more information on that. They've said nothing except they need a producer before they can even make the trailer.